Have you gone into your bathroom lately and found yourself thinking about all the things you wished were different or could be improved? Bathroom renovations are big business these days, simply because they’re relatively easy to manage and afford, can add thousands of dollars to your home, and can improve your every day quality of life. Once relegated to the back of the house, in a small and dark room with only the basics provided, bathrooms these days can be transformed into havens for pampering and relaxing. Let’s look at some of the factors you should consider when looking at a bathroom renovation. While you may not think of light and ventilation as the first things to focus on in your bathroom, industry professionals often suggest that these two factors can make the most difference to your bathroom. early in the project as it can effect the final layout of room. looked lovingly at the latest bath or set of stylish shower tiles then you’ll understand how tempting it is to want the very best in your bathroom. focusing your budget on fixtures such as taps. The one biggest complaint about most, old fashioned or out of date bathrooms is that they are badly designed, leading to little usable floor space. Luckily today there are many ways to “open” a bathroom up through smart planning and of course through the assistance of a good plumber. Especially in smaller bathrooms. One idea is to consider removing the bath to create a larger shower or wet area. These can often be enclosed simply with a plain sheet of glass, minimizing the need for messy walls and doorways. Not everyone wants to have a bath in their bathroom, and this can immediately free up floor space. The placement of the toilet should be another consideration, as often these are placed in awkward positions in older bathrooms – either right up against the sink or stuck in a corner. 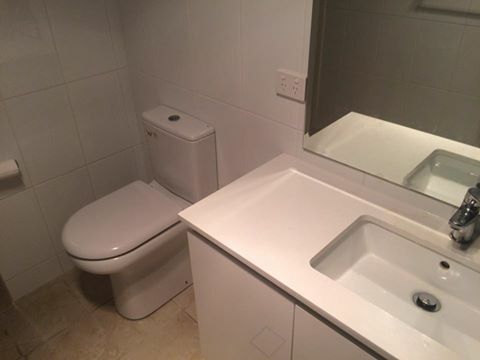 Finding a better location for your toilet can sometimes just be a matter of a professional giving you advice based on the layout and your needs. John Roberts is passionate about interior decorating and design. Since 2003 John has renovated numerous homes, right from light renovations, to larger scale projects, including multi unitproperty developments. John is a professional plumber with over 25 years in the industry.